The classically-informed office of Swiss architects, Pescia & Thöny, needed a website to showcase their work, as well as a refined version of their logo concept. 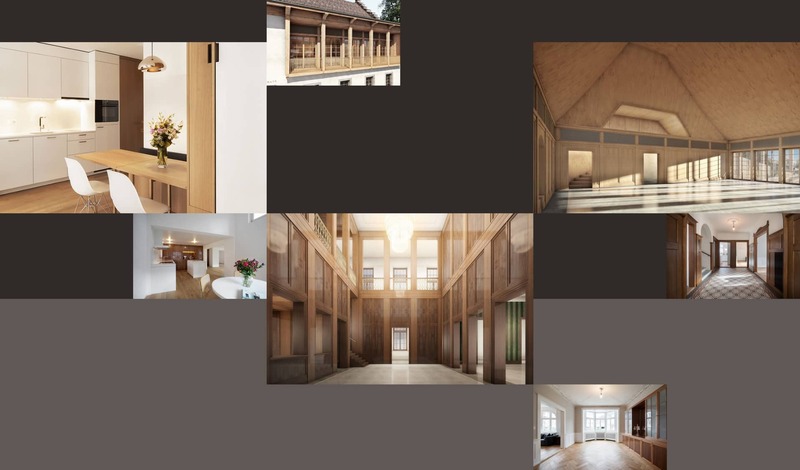 Just as Pescia & Thöny look for architectural solutions that exude elegance and ambience in their own work, so too were they looking for these qualities to be key features of their presence in the digital world. 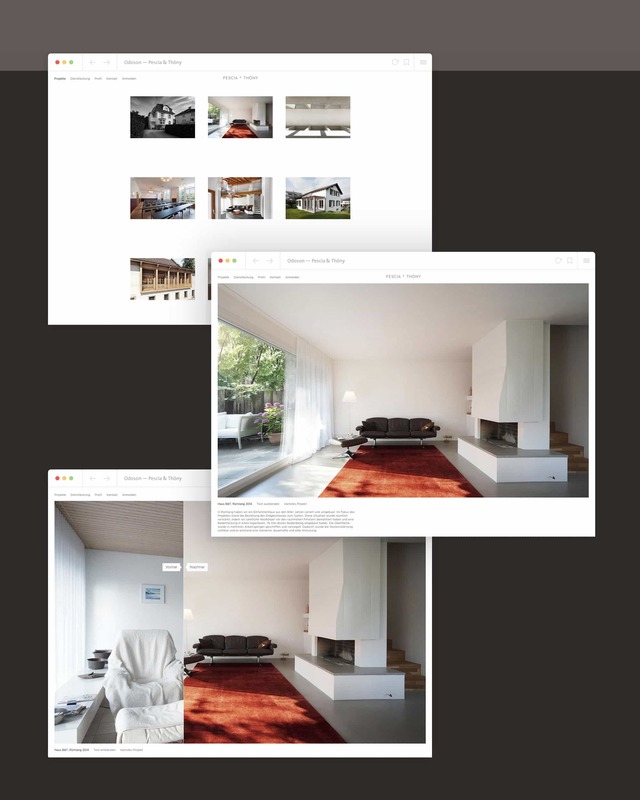 As in this case the clients were designers themselves, it was critical that the website not only fulfil the functions that most web pages must fulfil, but that it also be a reflection of the design philosophy of Pescia & Thöny – that tradition is an indispensable foundation for the design of the future – and instantly give potential customers a glimpse of their refined style, expertise, and design process. 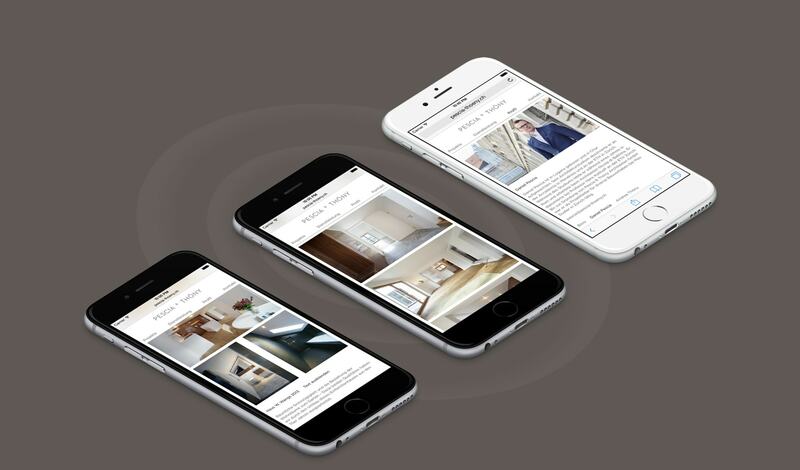 The website itself we specifically designed to be secondary to the featured projecets of the architects. Its minimal, precise styling elevates but does not interfere with their projects and is responsive to all sizes of screens, making the quality of their work visible no matter how one browses. A before and after comparison sliders allows for views to see exactly how Pescia & Thöny have executed their designs and the difference they have made to the spaces. The new signet-inspired logo echoes the exemplary style of Pescia & Thöny and gives the site, as well as their printed identity, a timeless feel. Fitting with the rest of the project, the intricate seal is also optimized for various screen sizes with three versions with varying levels of detail. 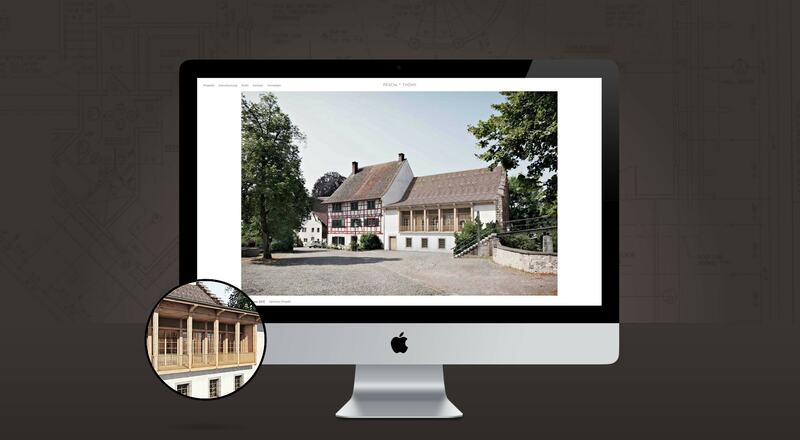 The website of Pescia & Thöny takes a subordinate role to the work being displayed. As such, we reduced the site to a minimum while scaling the images up to the maximum possible. A variety of technical tricks ensures that the website still loads quickly despite the large file sizes of the high-quality photographs and renderings. If possible, the architects’ stunning work is best viewed on a large screen where their attention to detail is most easily observed, but we haven’t forgotten about those accessing the page on smaller screens. No matter how you browse, the superb quality of Pescia & Thöny’s projects remains the focal point.